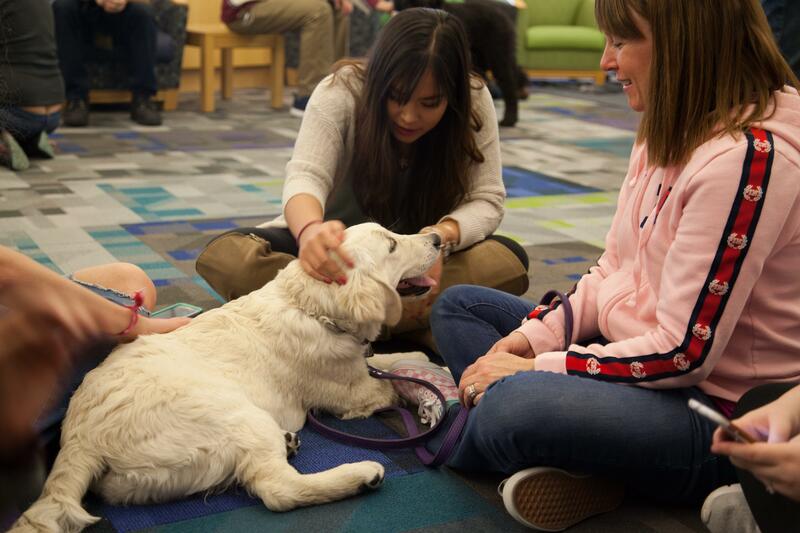 Pause for Paws at the Kraemer Family Library. It’s that time of year again: finals. Students are invited to take break from studying and relieve some stress at the following free events hosted by various campus departments and offices. Pancakes at 9p.m. followed by crafting at 10 p.m. brain snacks and movement at 11 p.m. and plate smashing at 12 a.m.
What it means to be a woman in adventure, sport, and film. Doors open at 6 p.m. Ugly sweaters, gingerbread houses, karaoke, free appetizers, desserts and prizes from Student Life and APISU. Join the College of Business Career Development Center for free snacks, coffee, and learn about potential career and internship opportunities. Class of 2018 celebration with complimentary nacho bar and drinks. Register here.